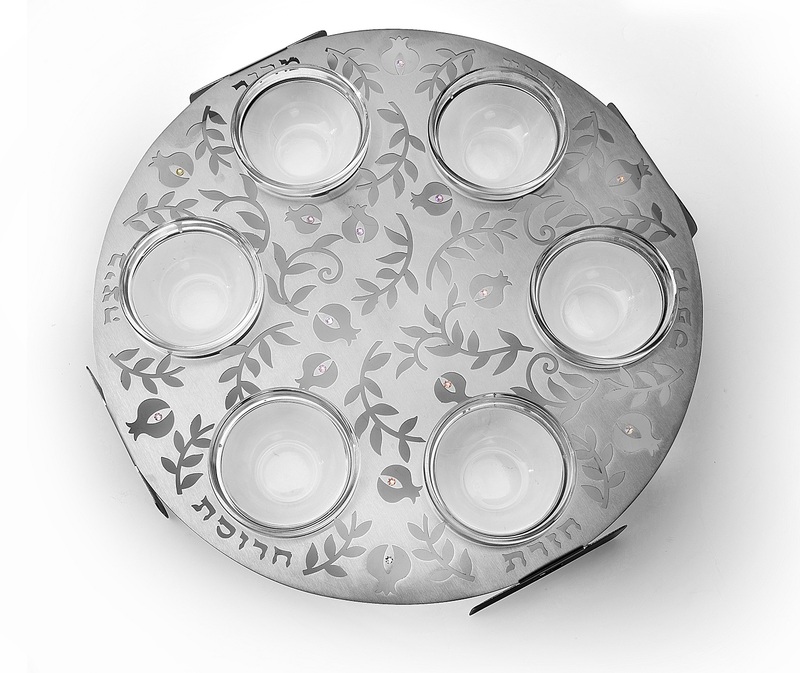 This lovely design of Seder plate is a classic round shape with glass bowls for each of the symbolic Seder foods. Decorated with pomegranates, it has the names of the foods written next to each bowl. A delightful classic design of Seder plate, this round pomegranate themed seder plate is a wonderful way to beautify the Passover Seder table. 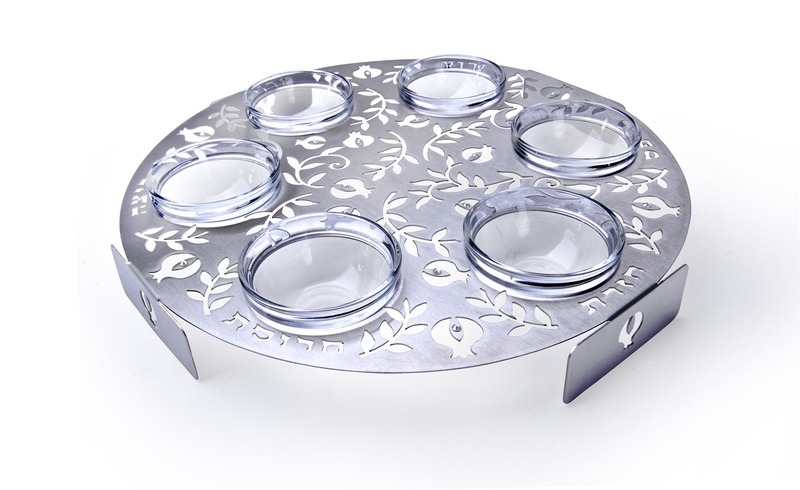 Artistic and creative, this lovely seder plate is silver colored, and alongside each symbolic food's bowl is the name of the food that goes there, written in hebrew.